Where in your building do you think you lose the most energy, besides the windows and walls? If you said the attic, you’re right! Attics are some of the biggest sources of energy loss in homes and buildings, so for business owners thinking about re-insulating, if your building has an attic, it should be one of the first places you install more insulation! 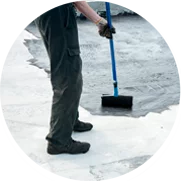 If you’re in the Chicago area and need commercial insulation contractors, look no further than ThermaSeal / Lakeside Insulation. We can install radiant barrier insulation in the attic of your building and help you save money and stay comfortable all year long. A type of foil insulation with reflective coating, radiant barrier is installed in attics and works by reflecting, rather than absorbing, heat from the sun. Radiant barrier insulation is especially useful in buildings with air ducts in the attic, asphalt shingle roofing, or little to no shading from trees. 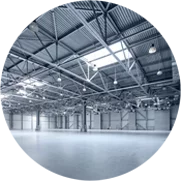 Looking for Commercial Radiant Barrier Insulation Contractors in Chicago? ThermaSeal / Lakeside Insulation has the necessary equipment and the experience to install the right type of insulation in your commercial building, whether it’s radiant barrier or another material. The type of insulation you install is dependent on factors such as the age of your building, where you need to insulate, etc. Schedule a radiant barrier insulation estimate and talk to one of our insulation contractors today. Call us or contact us online!